Requirement goes into effect for the 2015-2016 school year. Students must receive one time cardiopulmonary resuscitation (CPR) and automatic external defibrillator (AED) instruction in a class of the district’s choosing. CPR and AED curriculum must be developed by a provider using nationally recognized and evidence based guidelines and must include a psychomotor (hands-on) component. Certification is not required but if certification is obtained the course instructor shall be authorized by an instructional program which is nationally recognized and is based upon the most current national evidence-based Emergency Cardiovascular Care guidelines of CPR and AED. Heimlich Maneuver may also be offered in Physical Education class. CPR education does not need to cover all victim sizes (adult/child/infant). 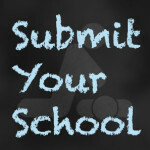 All Beginning with the 2015-2016 school year, all students enrolled in the public schools of this state shall receive instruction in cardiopulmonary resuscitation awareness of the purpose of an automated external defibrillator,… at least once between ninth grade and graduation from high school. The instruction may be provided as a part of any course. Instruction in cardiopulmonary resuscitation shall incorporate psycho-motor skills training and shall be based upon an instructional program which is nationally recognized and is based upon the most current national evidence-based Emergency Cardiovascular Care guidelines for cardiopulmonary resuscitation and the use of an automated external defibrillator. 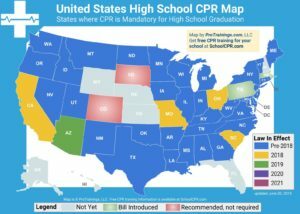 Either Student CPR program below will meet all Oklahoma state requirements regarding CPR education, including the physical education Heimlich Maneuver education recommendation.